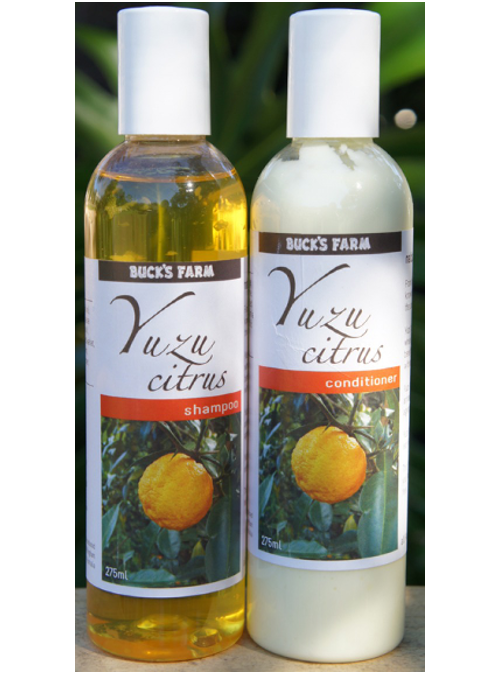 Yuzu Shampoo gives hair that extra zest and bounce and Yuzu Conditioner gives it that lovely soft look and feel. Yuzu Fruit is mainly grown in Japan where it is highly regarded for its beneficial qualities. It is packed with essential oils, Vitamin C and is high in antioxidants which help prevent ageing. All Australian, All Natural, pH balanced, chemical free and SLS free.